This is a sponsored post written by me on behalf of OurPact. Some of you, from what I hear, already have your precious darlings home for summer break. Lucky you! Free from the structured days of school drop offs and Spring Musical Concerts that conclude with a fourth grade interpretation of some Coldplay song you presumably should have heard of but haven't, you must really be relaxed. Yup, nothing but weeks and weeks of empty afternoons stretched out before you, full of requests to go to the beach and kids complaining that the plastic packaging on their Fla-Vor-Ice cut the corners of their mouths. Wait, I didn't mean "you must really be relaxed." I meant you're probably half dead by now. Or maybe I'm just projecting my issues onto you. See, our summer break is fast approaching, and as a work-at-home mom that prospect terrifies me to the core. Don't get me wrong, it's ideal in a lot of ways. For example, we don't have to arrange summer childcare because I'm here! Yay! Unfortunately, though I'm technically here, I'm not technically available. I can't just stop working every two minutes help them with something, or drive them somewhere, or put Band Aids in the corners of their mouths, or do anything, really. And yet I'm still trying to be a responsible parent, which is to say I don't want their brains to rot and fall out of their heads through the ears before September gets here and their teachers can fix whatever damage my pseudo-neglect does over the next two and a half months. I just can't do a whole lot about it. Their brains rotting, I mean. Because... work. Or I couldn't do a whole lot about it, until I found OurPact. 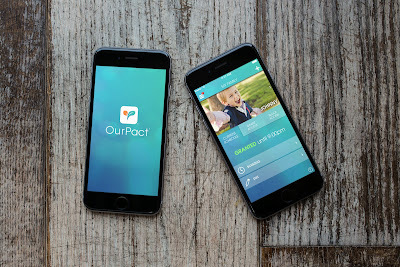 OurPact is a free app (YES, I SAID FREE) for your i-devices that lets you remotely control your family's iPads, iPhones and iPod Touch by blocking apps you don't want them to access (or the whole dang Internet, if you prefer), set the number of hours the devices can be used, and set schedules for when access is granted. 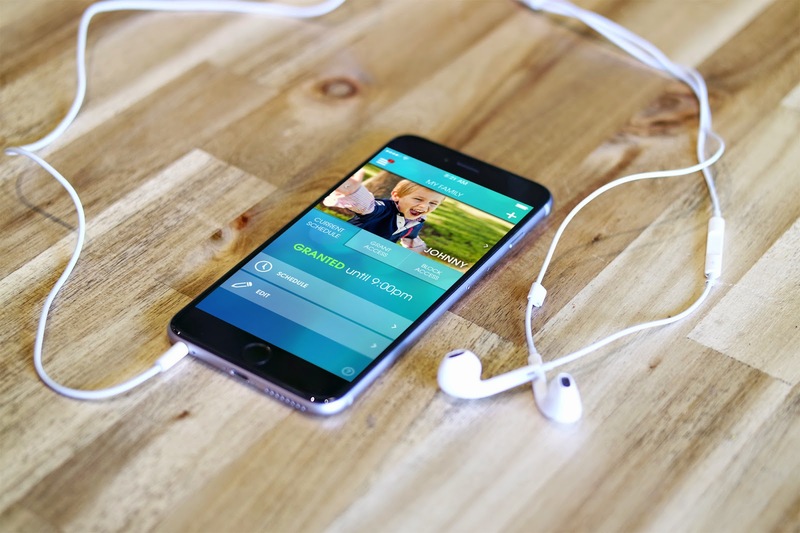 It also lets you change your mind with a quick touch of the screen, so you can shut down a device when your kid's being sassy, or extend their time limit when you're just not quite ready to redirect them to a less brain-rotty activity yet. 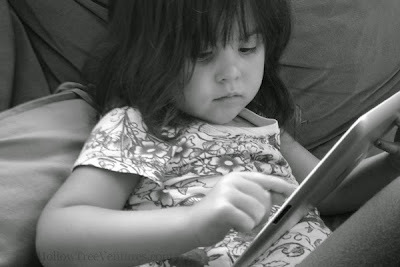 Not sure which schedules and apps are right for your kids? 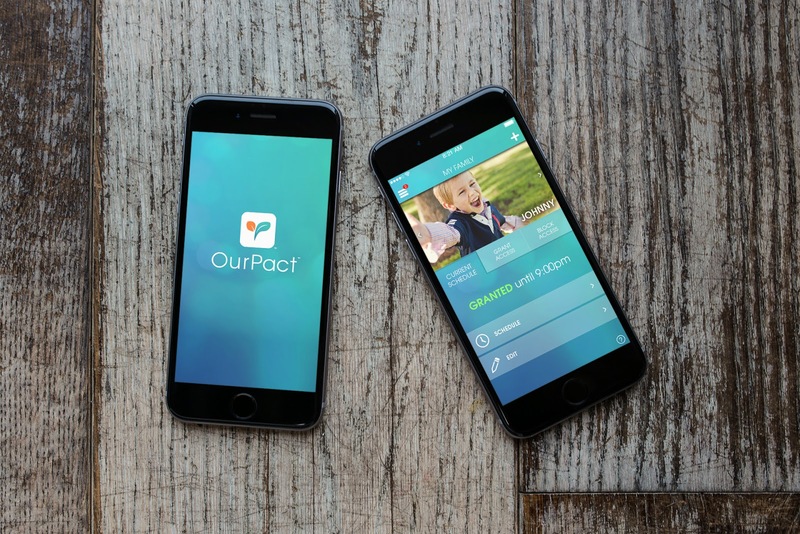 OurPact has done a ton of research on the subject and will give you great recommendations. With OurPact set up, I don't have to worry the toddler is posting updates to my Facebook account from the iPad, or that the older kids are watching YouTube videos at 2:00 in the morning when they're supposed to be asleep. 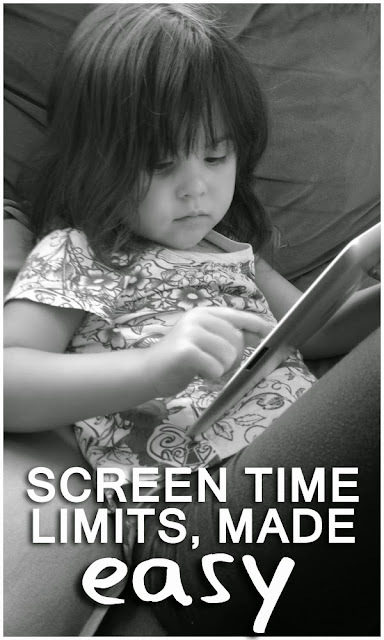 And what I like best of all is that the app plays the part of Evil Screen Time Enforcer so you don't have to; if you tell them they have 30 minutes to look up whatever Minecraft blah blah blah they so desperately need to see, just set the timer and BAM! When 30 minutes is up, the apps and Web shut off — without you nagging or having to hear them say, "But MOMMMMM, I just need five more minutes!" While I know electronics are a HUGE, and important, and occasionally even useful part of our modern lives that definitely have a place in our entertainment and our education, I understand all too well how difficult they can be to resist. I'm every bit as guilty as my kids of picking up my phone — "I'm just going to check my work email real quick," I always think to myself before realizing 20 minutes later I'm scrolling through Instagram — when I should be having a conversation or working on a project or just hanging out with my family. So just to show the kids how serious I am about the importance of this, when we sit down to set schedules for summer device use in our house, I'm including myself. I'm committing to setting my phone aside from dinner time to their bedtime this summer. Because if I can't be available during the day, I don't need the temptation available for electronics to take attention away from them in the evening, too. But don't be too impressed with my resolve. Unlike them, I will still be up watching YouTube videos at 2:00 in the morning.